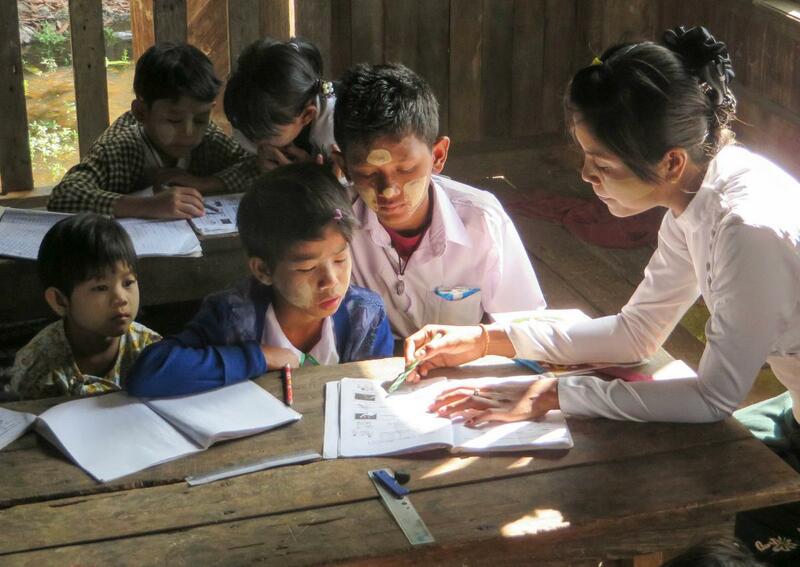 The area of Kyar Ni Kan in rural Myanmar has more than 200 school-age children, but had only one school. The monastery-run primary school served 70 students from kindergarten through grade 4 with no schooling beyond the primary level. 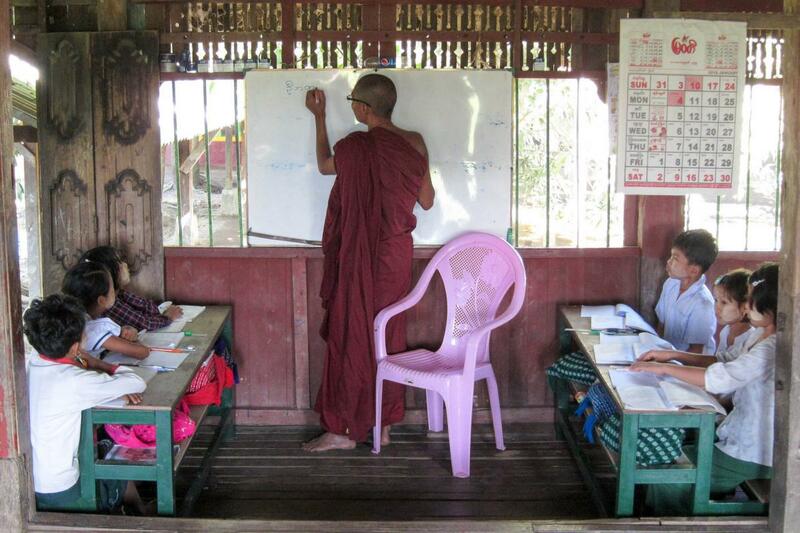 The head monk’s dedication to educating these children is inspiring-- he has operated the school, for which he donated his own land and helped to pay teacher salaries, since 1988. In order to expand educational opportunities beyond 4th grade, Kyar Ni Kan Monastery School and BSB partnered to expand the primary school by three rooms to include grades 5, 6 and 7. 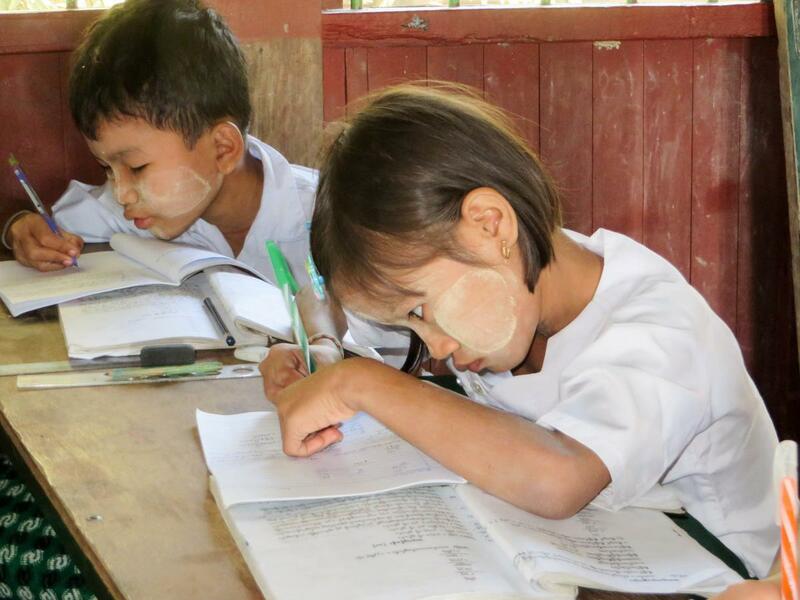 Monastery school education in Burma is similar to public school education, but differs in that students are not required to buy uniforms and are not charged fees. Education is completely free and available to even the poorest children. Located an hour's drive outside of Yangon in East Dagon Township, the people in this area are very poor and live simply, without electricity or running water. They make their living primarily by farming rice and vegetables and raising chickens and pigs. A nearby hospital offers employment to some of the people. BSB thanks Htwe Htwe Khin, director of Myanmar’s “Heart of Youth” for introducing us to this school. Build A School in Burma and the Kyar Ni Kan Monastery School are grateful to Ms. Casey (Carsten) Ellis for her effort and generosity in support of this school. It would not have been built without her. Kyar Ni Can Monastic School students had to learn under the monastery building until the abbot worked with BSB to construct a proper classroom building. Kyar Ni KanKyar Ni Can Monastic School students had to learn under the monastery building until the abbot worked with BSB to construct a proper classroom building.